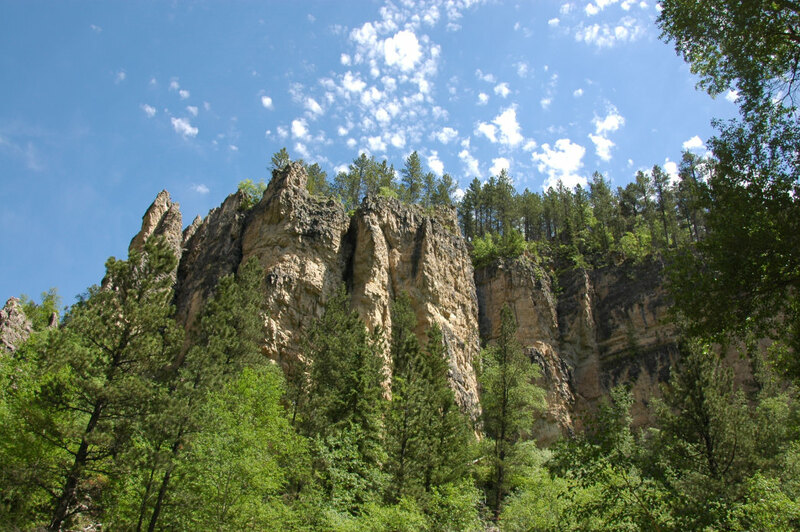 Locals have known about Devil’s Bathtub for quite some time, and usually do their best to keep Spearfish Canyon’s best kept secret just that. But if you’re lucky enough to find out where the trailhead begins (spoiler: you can find good instructions here), this short hike is one that is perfect for a sultry summer day. 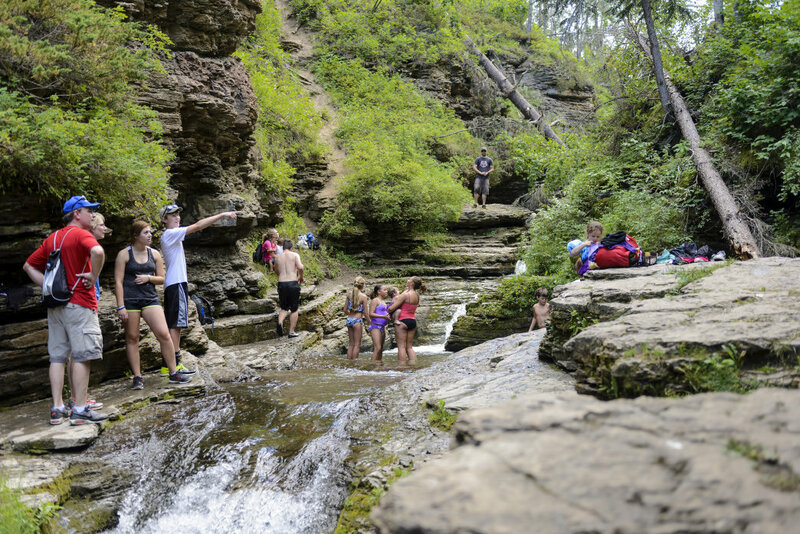 A moderate half mile hike eventually leads to a little limestone canyon, with natural pools and waterslides carved out by the flowing of the creek through the rock. This Instagram-worthy hike is best suited for teens and tweens since the unmarked trail crisscrosses through a fast-flowing creek. There is nothing like tales of Lewis and Clark’s adventure up the Missouri River to stoke young one’s minds. 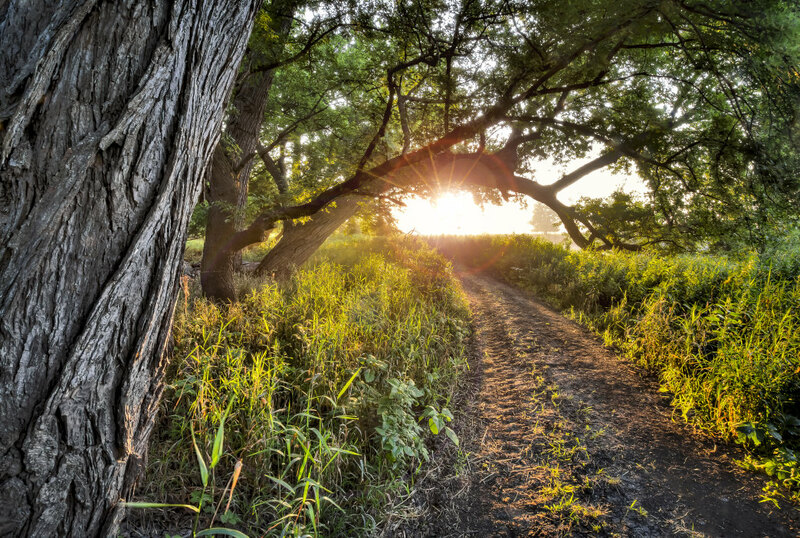 The 1.2-mile trail on the edge of Lewis and Clark Lake, which is actually a section of the Missouri River near the town of Yankton, meanders through marshes, hardwood forests, and up the chalkstone bluffs overlooking the Mighty Mo. At the top, a gazebo and perfect picnic spot look out over the river. 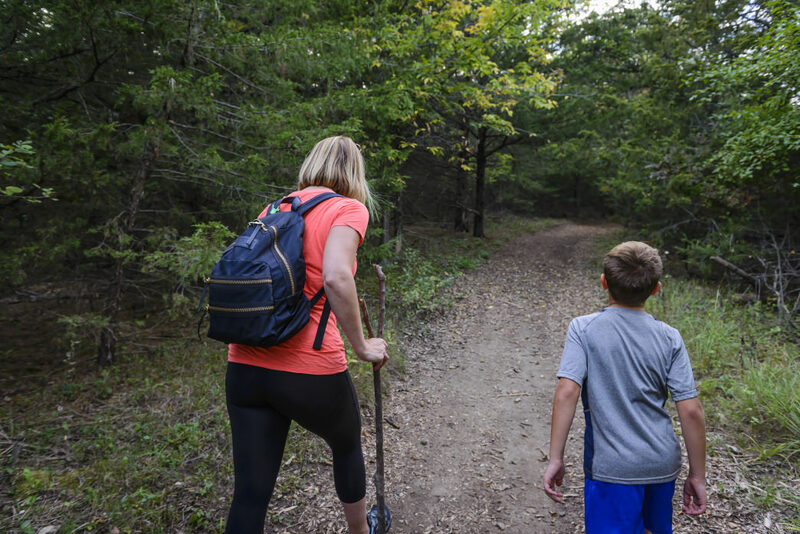 Kid-friendly signs point out things to be on the lookout for including wildlife such as hawks and cliff swallows that make their homes in the bluffs, deer, wild turkey, native plants and other natural wonders. 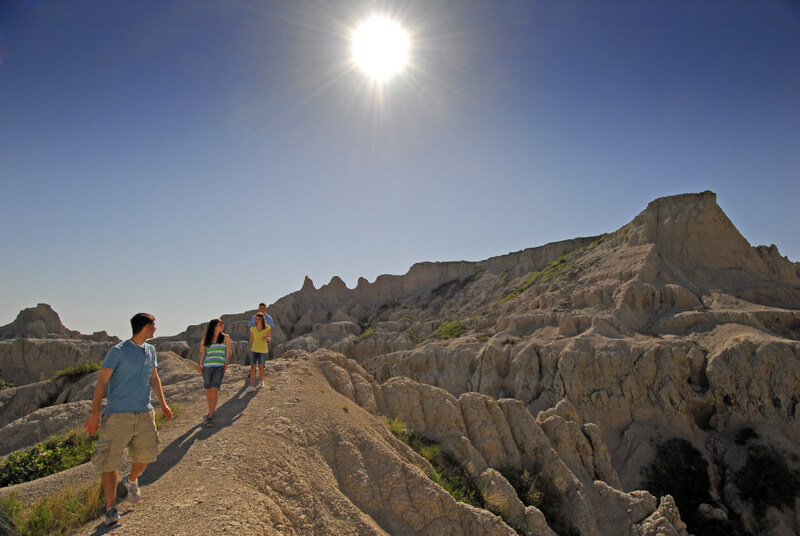 Saving the most adventurous for last, Notch Trail in Badlands National Park, is perfect for adventure-seeking families. The 1.5-mile trail snakes around the base of the otherworldly landscape, then comes to a log and metal rope ladder that crawls up to the top of the formations. Even adults may find the ladder to be a little intimidating at first, but the rest of the hike is well worth the adventure. 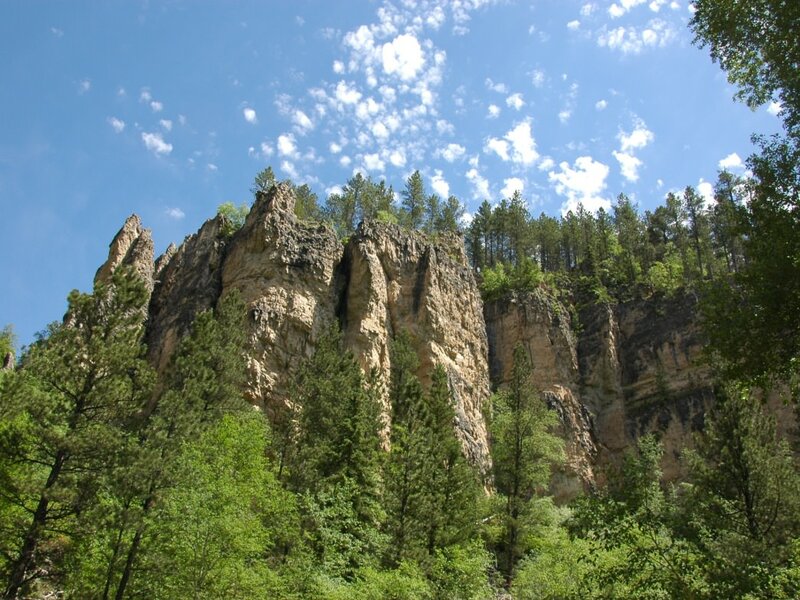 The trail then follows ledges built into the formations, like balconies to the ground below. Eventually, you come into a wide canyon and then to the trail’s namesake, The Notch, where hundred-mile views of the White River Valley below splay out toward the horizon. Younger children or those with fears of heights may be challenged by this one, however, with careful guidance, it should be possible for all ages to have fun. 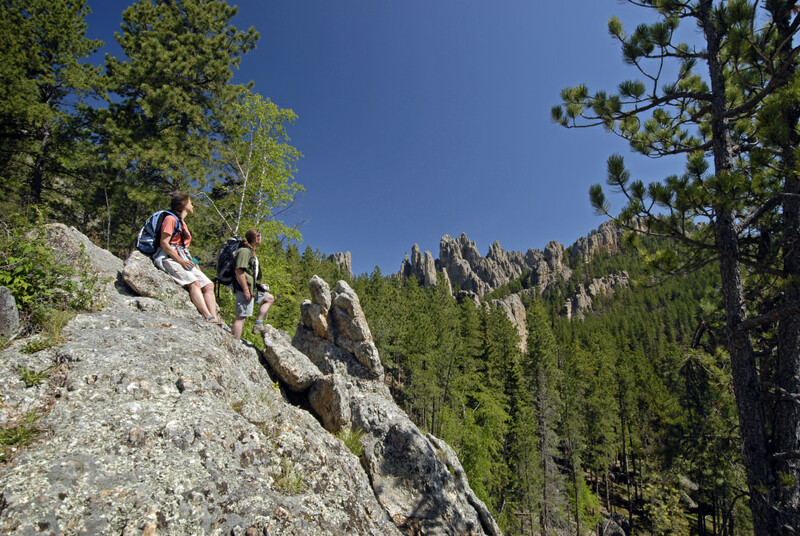 Originally written for South Dakota Tourism.